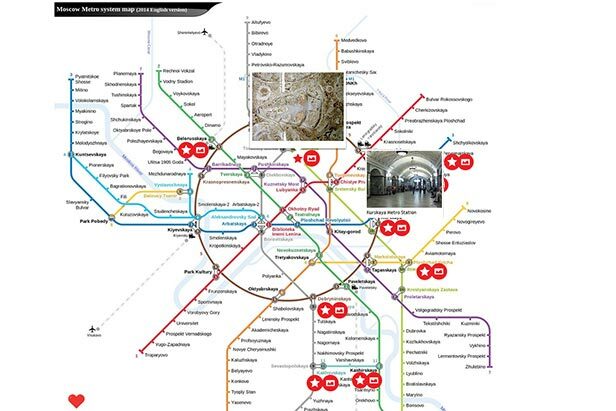 We’ve chosen the best stations to see if you are planning to explore the Moscow Metro. Our Top-10 stations are of interest primarily for two reasons. The first is their aesthetic and historical value, and the second is that they are simply brimming with paleontological artefacts. The truth is that the columns, walls, and passages of the Moscow Metro are faced with natural stones. If you look closer, you will see fossil patterns and petrifactions in the walls. To see exactly what petrification it is, check the gallery here. To choose the Metro station you want to visit, move the cursor over it. The map shows a photo of the interior and photos of the fossils that you can find there. To see exactly what petrification it is, click here.